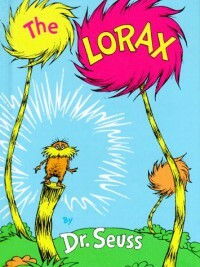 The Lorax is about a mythical creature who protects the trees and animals from a stranger when he moves into their area and starts cutting down the trees. When a young boy is told the story of the lorax, he sets out to protect the land the way the lorax did and is able to turn everything around. I would use this book for arbor day. I would use this book to explain to my students how important it is that we take care of nature and all elements in it.